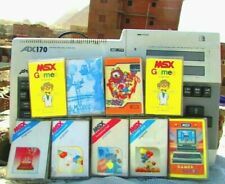 Home » Forum » MSX Talk » Hardware » Yamaha Floppy Drive Emulator? So I have a yamaha fd03 cartridge laying around but not the drive that its used with. I was wondering would it be possible to attach it to a typical floppy drive emulator and use it to load programs to my computer? 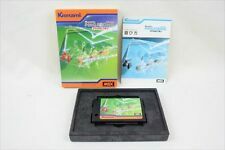 Im mostly concerned with msx software right now as I havent converted my cx5mII to msx2 yet so if its not compatible with later software its not the end of the world. Yes I think it should be possible to connect something like a Gotek to it. You will need to check out the service manual, and find a way to map the connectors to that of the floppy emulator. One issue though, is that the FD-03 is only a single-sided (360kB) controller, so you may need to find a firmware for your floppy emulator that supports that. I don't know if there is a replacement ROM for the controller to support 2DD media. Regarding MSX2, there is no issue. If it works on MSX1 it should also on MSX2. Thank you so much! Once I look at the pinout I ll see about making a cable and trying it out. I completely missed that it was 360kb I ll look into that more too. On a related note is there any means for easily converting msx roms to floppy disk images? and also cas files? Have a look at sofarun, or just search the site as it has been asked before. Not 100% sure, but the disk ROM from FD-051 could solve the one sided drive problem. The pinout of the cable should be identical. Also, if your able to. It would be nice if your able to dump the ROM of the FD-03, as it has not been archived. This way support can be added to openMSX. Alexey: I don't understand your comment. The FD-051 has a completely different cable compared to the FD-03. The FD-03 uses a type of DIN connector, while the FD-051 uses a type of IDC connector. Also, just like the FD-03 we don't have a ROM dump of the FD-051 either to my understanding. Oops, my bad! Please ignore what I said. Assumptions are never good. Hm I dont currently have the means to dump the rom but Ive been meaning to grab an eprom programmer anyway so i might as well do it sooner rather than later and then upload the fd03 rom here. Alexey: I created an openMSX config file for this drive with that ROM. It seems to work mostly, but when I try to format a disk, it gives a "Disk error" after the formatting seems to be completed... Do you know in which way the memory mapped registers are mapped on this drive? Is it the same as the Philips drives? According to our engineer it should keep its registers in the end of its ROM (7FF0). It doesn't verify the result of track writing operations and writes FAT and directories without even checking the availability of the sectors. The below data may not be 100% accurate, but I have no way to verify, sorry.